Are you a mommy looking for a formula feed for your baby? 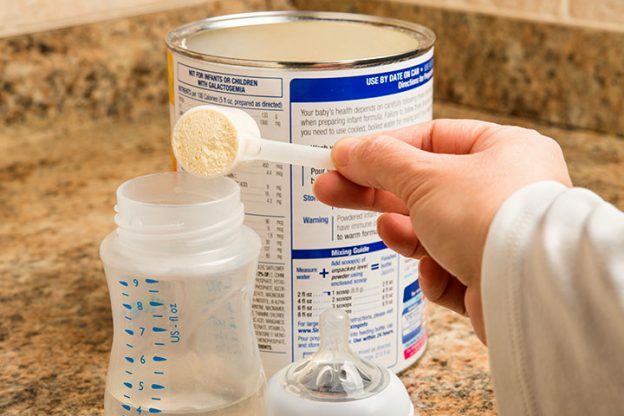 Are you confused about which baby formula is best to choose? If these questions are bothering you, then you should read our post on best formula milk for babies. Whole milk? Cow milk? Soy? Supermarkets contain a wide array of baby formula choices. Some formulas are iron-fortified while others contain essential fatty acids like ARA and DHA. Some are for babies with lactose intolerance while some are for babies who require higher nutrients. 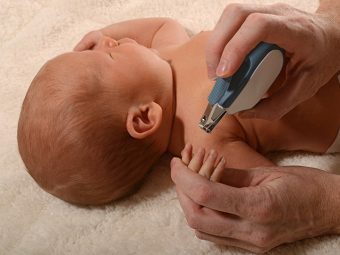 So how can you choose the right and best formula for baby? Well, first, you need to understand a few baby formula basics. So read on! If you want to choose the best formula milk for your baby, then first you should be aware of its different forms. 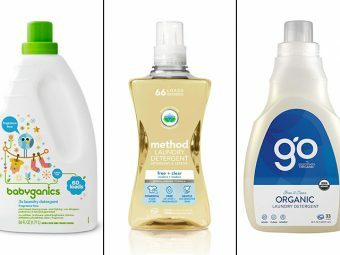 Baby formulas come in three forms- Ready-to-use, powdered and liquid concentrate. The Ready to use baby formula is the most convenient. It does not require mixing or measuring. You just have to open and serve. Most hospitals serve ready to use formulas to newborns. It is safe and hygienic and is helpful when you are worried about the water safety. Ready to use formulas have a short shelf life. You must use them within 48 hours. Powdered baby formula is the most economical and environmentally friendly baby formula. It will take the least amount of space in your pantry than all the three formulas. However, powdered formulas take more time to prepare than other formulas. And you need to follow the instructions well. The Liquid Concentrate formula requires mixing equal parts of formula and water. Make sure you read the instructions carefully. If you compare ready to formula, the liquid concentrate is cheaper and takes up less storage space. But if you compare it to powdered formula, then it is expensive. Most of the baby formulas have cow milk as its main ingredient. The manufacturers alter the protein of the milk to make it easier for children to digest. In soy-based formulas, the brand modifies the plant protein to ease its digestion. The doctor will recommend soy-based formulas if you are a vegan, or your child faces difficulty in digesting cow based milk formula. Lactose intolerance, commonly put as the inability to digest lactose, is a rare condition in babies. But if detected, the pediatrician will recommend a formula that has corn syrup instead of lactose. In the formula, the brand breaks down the protein into smaller parts to make it easy for babies to digest. The doctors recommend this type of formula for babies who face difficulty absorbing nutrients or babies with multiple allergies. 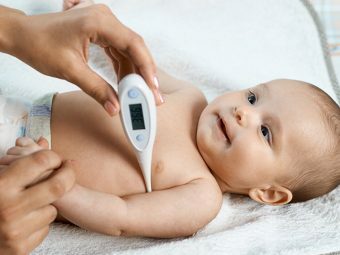 If your baby is ill and requires specific nutrition, then the doctor may recommend metabolic formula. Enfamil is one of the leading brands in baby formulas. Even pediatricians recommend this formula to mothers. Enfamil Infant Formula has been the closest ever formula to breast milk. The formula claims to meet the nutritional needs of babies until 12 months. The formula has dual prebiotics that help babies support their natural defenses. Moreover, the presence of nutrients like choline and DHA will play a crucial role in your baby’s brain development. If your baby has a sensitive stomach, then you should pick Gerber Good Start Gentle Powder Infant Formula for her. A baby’s digestive system develops throughout the first year of life, so it is important to give the nutrition that it gentle on your baby. Gerber Good Start Gentle Powder Infant Formula provides the nutrition of breast milk while being gentle on your baby’s developing body. The small proteins are easy to digest and even promote soft stools. The fatty acids in the formula will support your baby’s brain and eye development. Danone’s Infant Formula brand -Aptamil contains contains DHA and ARA which are very important in providing support to the brain and immune system of the baby. Ideal for infants from 0 to 24 months, this baby formula also contains lactose and maltodextrin which further helps in the digestive health of the infant. The whey-based power packed formula overall brings the right amount of nutrition for the overall physical growth and development of the baby. ImageWe reserved one of the bests for the last. DSS Similac Expert Care NeoSure Ready to Feed is a nutrient dense formula for children born prematurely. It is a preterm post-discharge formula. The increased vitamin and mineral content in the formula will support your baby’s growth. The company also claims to support better weight gain and head circumference as compared to other baby formulas. It also supports early language development. DSS Similac Exert Care NeoSure Ready to Feed is also gluten free! In short, DSS Similac Exert Care NeoSure Ready to Feed has everything that you would want in a formula. We know how challenging it can be to make your toddler eat healthy foods. Even the non-picky eater may miss critical nutrients from his diet. It is here where Enfagrow Toddler Next Step Milk Drink will come to your aid. Enfagrow Toddler Next Step Milk Drink is a formula for kids aged 1 to 3 years. It has a balance of 22 nutrients required for a healthy growth. The natural defense dual prebiotics help support the child’s digestive health. Vitamin D and calcium in the formula will promote strong teeth and bones. The formula is available in two delicious flavors- vanilla and natural milk. Here is another formula to balance your baby’s diet. Similac Go & Grow contains omega 3 and 6, so you can trust that you are feeding your baby a formula that is closest to your milk. Similac Go & Grow are one of the few formulas that have Lutein and Galactooligosaccharides, nutrients that your baby can get only from breast milk. The formula is gluten free too! So no more worries for your allergy-prone children. 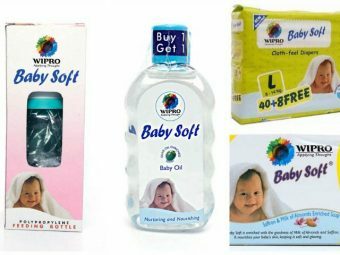 The brand also has a formula for babies with sensitive tummies. Nestle NIDO Kinder 1+ is another formula for finicky toddlers who make faces while eating healthy food. The formula provides all nutritional requirements that toddlers need as they transition from breast milk to the family diet. It contains and an exclusive blend of fiber that helps maintain your child’s digestive system. The formula is relatively cheaper than most of the formulas found in the market. You can also mix it with the baby cereals and smoothies. Note- Nestle NIDO Kinder 1+ Powdered Milk Beverage is not for kids under one year of age. The Earth’s Best Organic Infant Formula is a formula rich in high-quality protein, mineral, vitamins, and essential fatty acids. It contains DHA and ARA, nutrients that are naturally available in breast milk. These nutrients promote the baby’s brain and eye development. Even its whey and casein ratio is identical to mother’s milk. The brand also uses organic glucose solids and organic lactose as a carbohydrate source. It contains no antibiotics, growth hormones, steroids or harmful herbicides or pesticides. And it meets the FDA requirements for infant nutrition. If your child older than one year and is prone to allergies, then Baby’s Only Organic Dairy with DHA & ARA Formula should be your pick. The formula is totally gluten free. It contains no corn syrup or any other GMO ingredients. It contains DHA and ARA lipids, derived from the egg phospholipids. It gives the formula a more natural fatty acid profile. The brand also claims that it does not include any artificial growth hormone, antibiotics, and steroids in the formula. Enfamil Reguline is a formula that will help your tot’s digestive system produce soft and comfortable stools while giving him all the nutrition he needs. Even clinical studies say that babies fed with Enfamil Infant formula have softer stools within the first week of consumption. It contains a blend of two probiotics, (carbs in breast milk that feed the good bacteria found in baby’s gut). It is easy to digest proteins will be gentle on your baby’s tummy. Enfamil Reguline has complete nutrition, so you can serve it to your baby as long as he consumes formula. If you are one of those mothers who feels concerned about the environment and wants to choose an organic lifestyle for your family, then Vermont Organics TM Milk Based Organic Formula could be for you. Even the USDA regulation certified the formula by its regulations. Moreover, it contains all the nutrients found in the mother’s milk. Does your child complain of gas and sleeping trouble because of colic disease? Then a simple change in formula can make a world of difference. Nutramigen with Enflora LGG claims to manage colic due to cow’s milk within 48 hours of consumption. Isn’t that great! It will also help your child build a tolerance to cow milk so that he can tolerate milk. The miniscule hypoallergenic proteins in the formula pose no threat to sensitive babies. Besides, it also provides complete nutrition to your baby to reach his key milestones. PurAmino Hypoallergenic is an iron-fortified formula for babies and toddlers who suffer from severe milk protein allergy. In feeding infants, a gradual introduction of solid foods after four months is essential. It helps your baby’s overall development. But, in cases of severe food allergies, you can use PurAmino Hypoallergenic as a meal substitute. The formula will make a considerable contribution to the well-being of such babies. The formula is also gentle on the tummy. It works well for children suffering from acid reflux. Elecare is a hypoallergenic, amino-acid formula made for infants who cannot tolerate hydrolyzed protein. It manages protein Malabsorption, maldigestion, short bowel syndrome, severe food allergies, eosinophilic GI disorders, and other conditions in which the infant needs an amino acid diet. The formula works by eliminating the potential for an allergic reaction. It also supports the growth of children when used as a primary source of nutrition2. Besides, the nutrients will aid children’s brain and eye development. Parent’s Choice Organic Infant Formula Powder is a nutritious supplement for infants. This milk-based formula includes all the nutrients that your child requires during his early days. The formula does not contain steroids, antibiotics or potentially harmful herbicides and pesticides. The formula is ideal for kids 0 to 12 months old. You must stick to just one type of formula. Do not keep switching from one formula to another. Spitting, colic, and gas are common problems that your child can face. Fret not, as these problems are because of your baby’s still maturing gastrointestinal tract. Try a particular formula for at least a few weeks. If the problem persists, then consult your doctor. Hope you liked our post on best formula milk for babies. Which formula do you use for your baby? Did the doctor prescribe the formula or did you choose the best organic baby formula yourself? Please tell us in the comment section below. Supplementing Breastfeeding With Formula – Is It Ok? Breastfeeding vs Formula Feeding – Which One Is Better?